This time a year ago I was considering quitting derby. It seems crazy to think about now, but something was missing from my derby life. The skates that I’d relied upon for five years were falling apart and, as with any big investment, I was trying to evaluate whether it was worth forking out for a new pair. That old beaten-up pair of Riedell 265 boots was pretty much a metaphor for my derby career at that time. When I first started roller derby, part of the thrill (aside from playing this weird contact sport that no-one had ever heard of) was saying ‘yes’ to opportunities. Scary exciting opportunities. 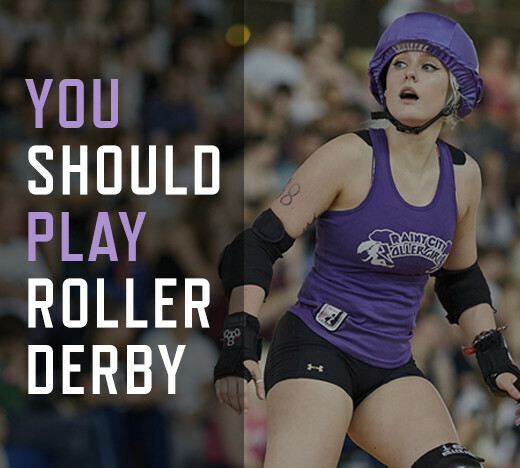 Will you play your first bout tomorrow even though you only just got your 25 in 5 tonight? Yes. Will you travel to Amsterdam with your team and jam? Yes. Will you coach new skaters despite a fairly crippling fear of public speaking? Yes. Great Yorkshire Showdown 2010. I had literally no idea what was going on. Photo by Toni Slater. Now, I know that the honeymoon period doesn’t last forever – but it got to the point where the opportunities weren’t there for the women’s team and I wasn’t enjoying training. Training takes such a big chunk of your life outside of work that if you’re consistently not feeling it maybe it’s time to make some changes. Fast forward a year and I honestly can’t believe I was ever thinking about throwing in the towel. This week I will be travelling to my first ever stateside tournament, which just happens to be WFTDA’s Division 1 playoffs. And I’m there with a team currently ranked #26 in the world. THE WORLD ? RCRD Allstars vs Kallio last jam. Photo by Jason Ruffell. I’m a sub, so honestly the chances of me skating are low. I guess that would probably put most people off, but the experience gained as part of this squad will be so worth it. Those opportunities I was missing this time last year are most certainly back. I’ll get to experience my first big tournament. I’ll get to see how things are run so that I know what to expect when I do get to skate at future tourneys. I’ll be with the team and see how each skater mentally and physically preps themselves for big challenges. Last but not least I will be watching some of the best teams in the world compete live instead of on WFTDA TV. Please help us in our fundraising to get there, it’s not cheap doing your bit for European roller derby! As we ramp up the training intensity in the run-up to playoffs, I’ve been near enough living at The Thunderdome. At a minimum, including sessions with Rainy’s B team, I’m training 13 hours a week. Yesterday I got to play against London Roller Girls’ Batter C Power with Rainy’s Tender Hooligans and we won. My feet may be like stumps, but it’s got to be doing something for my skating! Well, I’ll tell you. Jeez. Impatient. Rainy’s All Stars have done amazingly in the rankings this year – rising from the low #100s to their current ranking of #26. This has made RCRD attractive to other transfer skaters wanting to take their game to the next level and has really upped the competitiveness within the league for roster spots. It’s also introduced a new challenge for all Rainy skaters; how to stay focused on your game in spite of this intense competition. That ‘fight for your place’ thing I touched on in my previous post has definitely kicked up a notch. It’d be easy to view these changes as a threat – to become timid and back away from them to avoid failure – but I try to view them as a challenge and an opportunity to get better. How can this make me stronger? How can I do better next time? By taking a moment to ask yourself those questions, you are taking back power. You’re able to transform something you perceive as negative and take the positive from it so that it will strengthen you rather than beat you down. It’ll make you better instead of making you bitter – and that’s a quote. It’s gone all sports psych in here but as a relatively new Rainy skater and as a crossover I’ve found it really helps to try to adopt a growth mindset, particularly if you’re naturally more ‘fixed’. 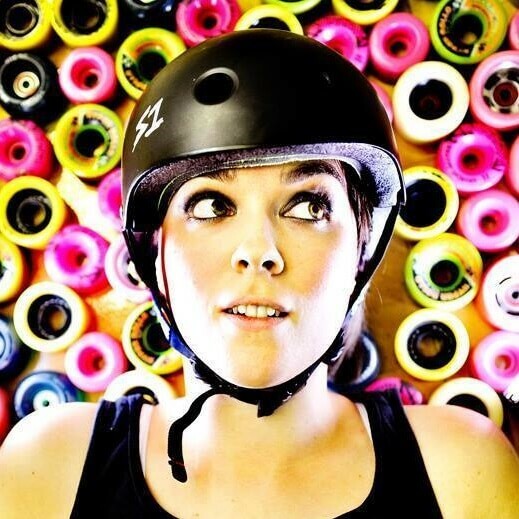 When there are so many amazing skaters in one place, you need to work hard to get noticed. And I don’t just mean turning up to practice all the time and giving 100%. In my experience, often the skaters that have the most success are the skaters that put themselves out there – the skaters that people know about. ‘Putting myself out there’ at Team England try-outs. Photo by Jason Ruffell. These skaters are always at mixed scrims, on challenge teams, running bootcamps, coaching within their own league and further afield. They have their own athlete pages, businesses, sponsors and websites. Obviously it helps to have the skills to back it all up (and doing so much skating is bound to help) but being your own personal PR machine never hurt anyone. This isn’t something that comes naturally to me so it’s definitely one to work on – call it a trial if you will. It’s nearly the end, you made it! A few people have said that my last blog helped them, either they were considering transferring already and it helped them take the plunge or it made them realise they needed more. Trisha Smackanawa said she’d read and liked it when I spoke to her at the LRG bootcamp in Birmingham (total fangirl moment). It might not always go so well. You might change leagues and think ‘What have I done?’ It depends a lot on your approach, your attitude and how well you deal with new challenges. Perhaps it was just the wrong move and no matter how good your attitude is there will be no escaping that, but if you don’t try you’ll never know. I’ll have been at Rainy a year in October and not once have I regretted my decision to transfer. It’s been tough but in the best possible way and I’ve still got my eyes on the prize. Have you transferred since my last post? I’d love to hear your experience, just post your comments below. All Stars and Tender Hooligans skater. Björk obsessive. Guardian of the Galaxy Inside Line. Rainy City are looking for new skaters, officials and volunteers to join our league. That should be you, shouldn't it?